James L. Baker, Jr., M.D., F.A.C.S., received his medical degree from the University of Amsterdam, Netherlands. He completed his Internship and General Surgery Residency at Monmouth Medical Center in New Jersey. He then completed his Plastic Surgery Residency at Orlando Regional Medical Center (ORMC), now called Orlando Health. Dr. James Baker began private practice in 1971; in 1973 he became the Program Director for the Plastic Surgery Residency Training Program at ORMC. He is a Fellow of the American College of Surgeons and has served as Chairman of the Department of Plastic Surgery at ORMC, Holiday Hospital, Lucerne General Hospital, Winter Park Memorial Hospital and served two terms as Chairman of the Department of Plastic Surgery for the Florida Hospital System. Certified by the American Board of Plastic Surgery in 1973, Dr. Baker has served as a Guest Examiner for the American Board of Plastic Surgery. A Past President of both the Florida Society of Plastic Surgeons (FSPS) and The American Society for Aesthetic Plastic Surgery (ASAPS), Dr. Baker is also a Professor of Surgery, College of Medicine, University of Central Florida, Orlando and a Clinical Professor of Plastic Surgery, University of South Florida, Tampa, which afforded him the opportunity to train the third and fifth year plastic surgery residents. He is extremely proud that Dr. David Plank, one of the most outstanding residents he ever trained, is now one of his associates at The Mid Florida Institute of Plastic Surgery. 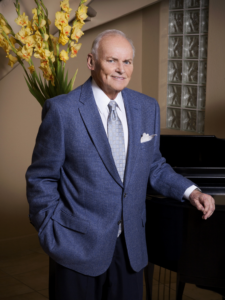 Dr. James Baker is world-renowned for his many contributions to the field of plastic surgery. He developed the Baker Classification of Capsular Contracture following breast augmentation, which is utilized worldwide to measure the degree of firmness in an augmented breast; he discovered the cell that causes capsular contracture and he developed the Closed Capsulotomy, a non-surgical treatment for the condition. Dr. Baker has testified before the FDA on 3 separate occasions regarding the safety of silicone breast implants. Also considered an expert in Ultrasound Liposuction, he created the task force that worked directly with the FDA to gain approval for the then-new technology. Once approved, Dr. Baker was the National Coordinator for the teaching courses and trained plastic surgeons throughout the country. He has been invited to lecture throughout the US and numerous countries around the world, both as a Traveling Professor for ASAPS and as a Visiting Professor of Plastic Surgery. Having published 33 peer-reviewed articles, contributed to 13 textbooks, and produced 16 teaching films in the field of plastic surgery, he has appeared on The Phil Donahue Show, The Oprah Winfrey Show, and 20/20. Dr. Baker has been named among the best in his field by Town and Country, Harper’s Bazaar, Mirabella, and Self magazines and has been named “Best Plastic Surgeon” by the readers of Orlando Magazine. In 2005, he was elected by his peers to be named in the Best Doctors in America and has been re-elected every year since. Dr. James Baker specializes in aesthetic plastic surgery. He performs face and neck lift surgery, fat grafting, eyelid surgery, brow lifts, breast augmentation, breast augmentation revision, abdominoplasty (tummy tuck), liposuction, rhinoplasty and otoplasty (ear-pinning). He also offers a full range of non-surgical services including Botox, Dysport, facial fillers and TCA chemical peels. Developing a professional and a personal relationship with each patient is important to Dr. Baker. He strongly believes making sure every patient has realistic expectations for the results they hope to achieve following surgery is key; he thoroughly explains the possible risks and complications as well as the healing process associated with the surgery. Conversant in Dutch, he has enjoyed playing golf at courses in the US and around the world; he has attended The Master’s Golf Tournament well over a dozen times as the guest of various golf professionals. He and his wife of 55 years, Wiesje, enjoy traveling, spending time with their family and love watching their two athletic grandchildren compete in a variety of sports.